Congratulations on being selected to participate in this exhibition. You have the opportunity for extraordinary exposure. Below you will find all the information and guidelines you need to make this show a huge success. “From the Ashes: Rebirth of the Human Spirit” is a theme that each artist will interpret based on their own feelings and thoughts about “rebirth” and “human spirit”. 2015 will be the 150th anniversary of the end of the Civil War which was waged from 1861 to 1865. War could be the darker interpretation of this theme. The other extreme is Rebirth or resurrection. There is undeniable power in the human spirit – that which inspires us to rise from the fall. Here the artist is challenged to express him or herself using their own media to exhibit what the power of the human spirit looks like: from the march into danger to the danger itself to falling to rising up again if only in spirit. Three to five paintings or wall sculptures in medium, large to extra large format. One or two paragraph artist statement. Mention how the theme, “From the Ashes: Rebirth of the Human Spirit” reflects in your work. One high resolution (100+ dpi) image of a piece that will definitely be in the exhibit, must be at least 500 pixels in width and at least 500 pixels in height. Maximum 10 MB. You can view an example of the layout and type of catalog we expect to publish by clicking here. Email your images, image description, bio and artist statement to carolyn.goodridge@gmail.com. Please label your image: "Last Name, First Name, Title." Label your Bio/Statement file "Last name-BIO". The catalog will be printed and ready for distribution at the Artists Opening Reception on February 15th, 2014. Invitations: Invitations to this group show will be printed and mailed to you for your distribution in early January, 2014. One of the images you submit for the exhibition catalog will be used for the invitation as well. hanging system. Tip: Place your hanging apparatus near the top of the painting so the work won't lean forward and down. No exposed staples on the side of artwork if it is not framed. Web Page Content Submission: Each exhibiting artist is invited to submit content for their own personalized web page on Art Impact USA website. Click here to see sample page. This will help in marketing the event. All that is needed is a representational artwork image or YouTube video, a headshot and a bio and statement. If you have a website already with this content it can be copied from there with your permission. Otherwise, this content must be submitted by December 2, 2013. 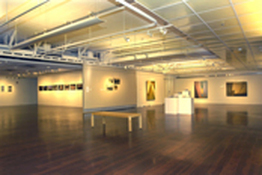 Exhibition Artwork - Image List: You will need to send images of all the artwork you expect to show in this exhibition. It must be accompanied by a description list. Number your images in the file name with your last name, first name title. Then make a sheet with your name and contact information at the top and the list of the artwork with the corresponding number, title, medium, size, year of creation and price. This information will be used to make the wall labels for each piece. You must also label your work in the back of each piece with the same information. The images and image list must be submitted by Saturday, February 1, 2014. Email to carolyn.goodridge@gmail.com. Insurance: Black Artists of DC is providing insurance for the show, specifically for BADC members. The insurance value should be 30 percent less than the price of your work, to reflect the commission that would be paid to BADC and Art Impact USA. Publicity: On behalf of BADC, Art Impact USA will endeavor to get public service announcements aired by various D.C. area radio stations. 18 stations have already been lined up. Press releases will also be sent to D.C. area newspapers. Non-Profit Partner: Black Artists of DC (BADC). It is through BADC that Art Impact USA is able to produce this exhibition at the Pepco Edison Place Gallery. Head Curator: Daniel T. Brooking. Daniel is a member of Black Artists of DC (BADC), its Archivist and a member of its Summer Bridge training staff. He is also a member of the Washington Project for the Arts (WPA). His art was chosen for the NCA 50th anniversary exhibition. Daniel believes "Artists should never limit themselves to a particular genre; learn as much as you can, do as much as you can and never stop". Daniel's work is represented by Jeannette Mariani, Galerie 13, in Paris, France. Click here to donate your entry fee. http://www.badc.tv/PayPal.html. 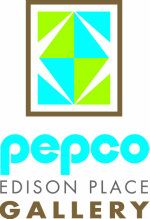 Write "Pepco Exhibition" In the special instructions section of the Pay Pal check out.